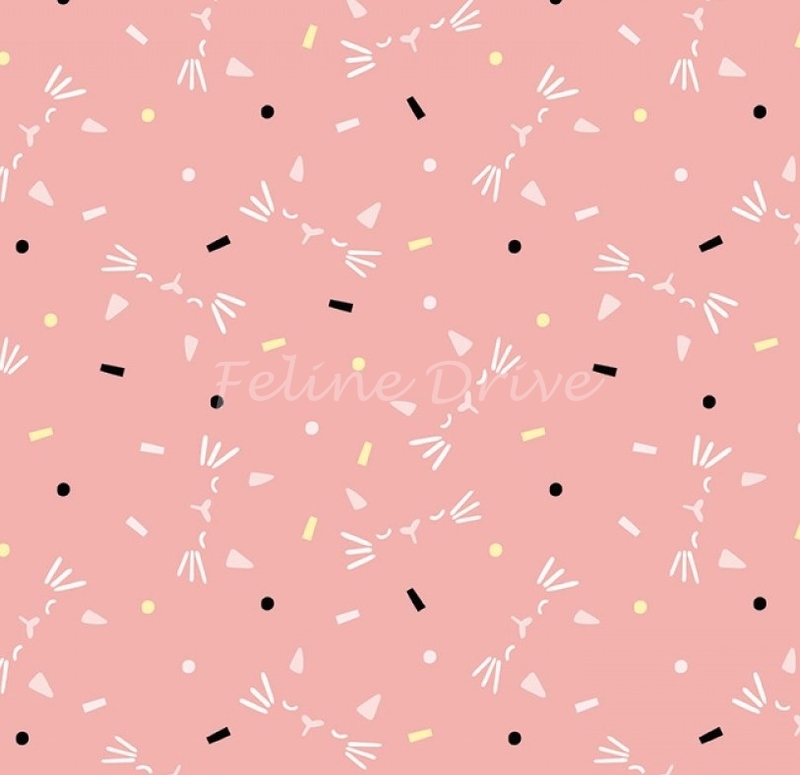 The Meow and Forever collection is a pleasing combination of black, white, gray, and pink, that celebrates everything cat! 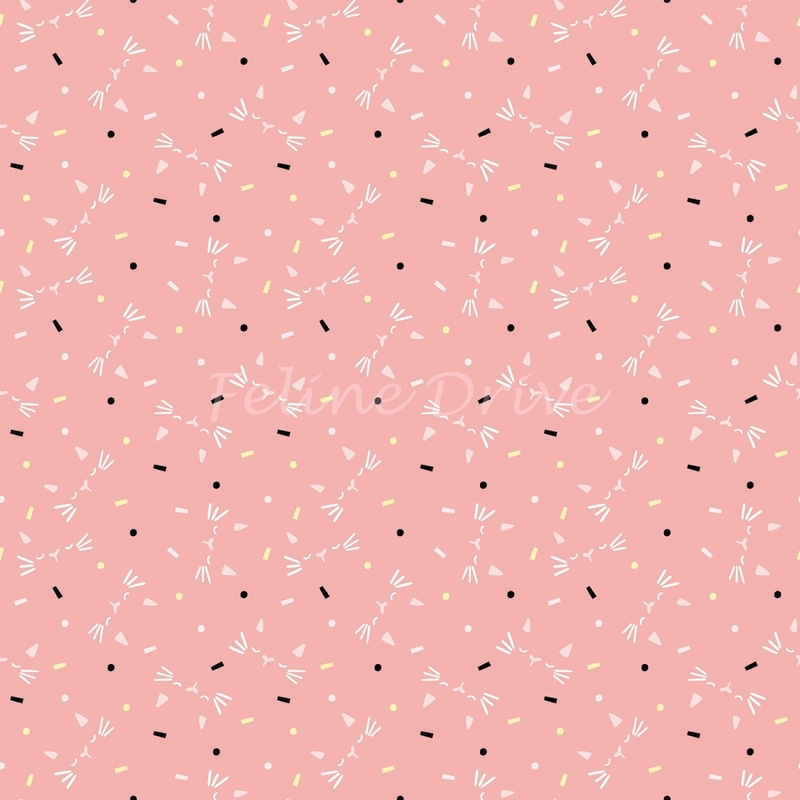 This fabric features cat faces sketched in white on a pink background. Print Size:Cat faces are approximately 1.25" across, from tips of whiskers.